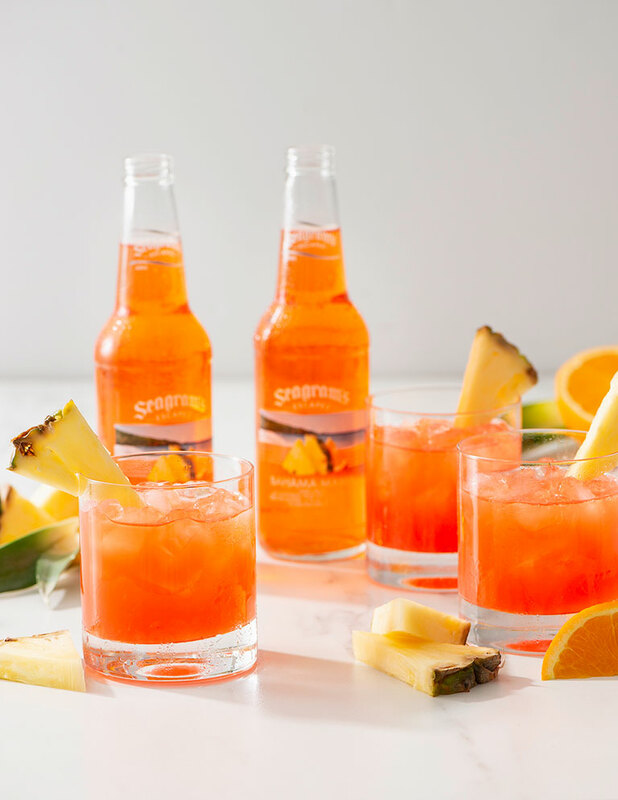 Inspired by the popular Tequila Sunrise. 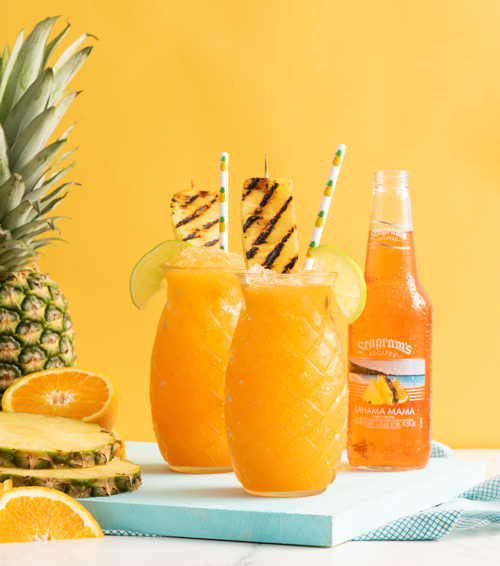 Combine Seagram’s Escapes Bahama Mama, orange juice, tequila and grenadine in a glass. 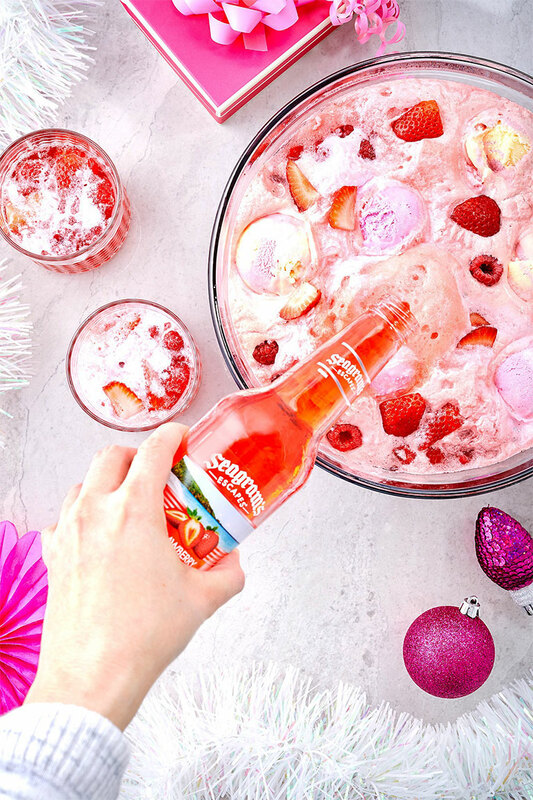 Take some frozen pineapple and add to drink to keep it cool and colorful. Stir well, and enjoy!